With our diverse range of product offerings, consistent product quality and global network, we have satisfied customers across the globe. 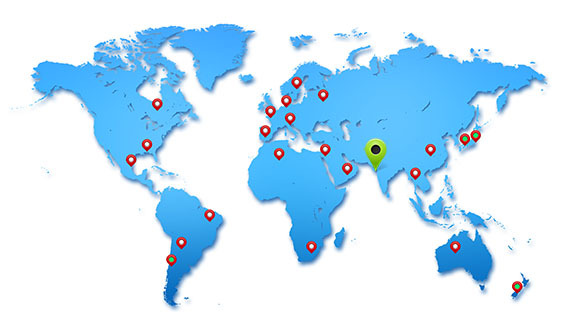 Concord is working with leading pharmaceutical companies and is having global presence in more than 50 countries worldwide with state-of-the-art distribution network & business infrastructure in markets such as North America, Europe, Japan, India, Central & Latin America, Africa, Australia, New Zealand, Asia – Pacific, CIS and MENA countries. Concord continues to establish stronger alliances with the global pharmaceutical companies for its API’s and Formulation product range, thus ensuring greater reach and penetration for its products and research services.